Oppo N3 runs the Android 4.4 KiKat operating system. It features a 5.5-inch Full HD display with a density of ~403 PPI. 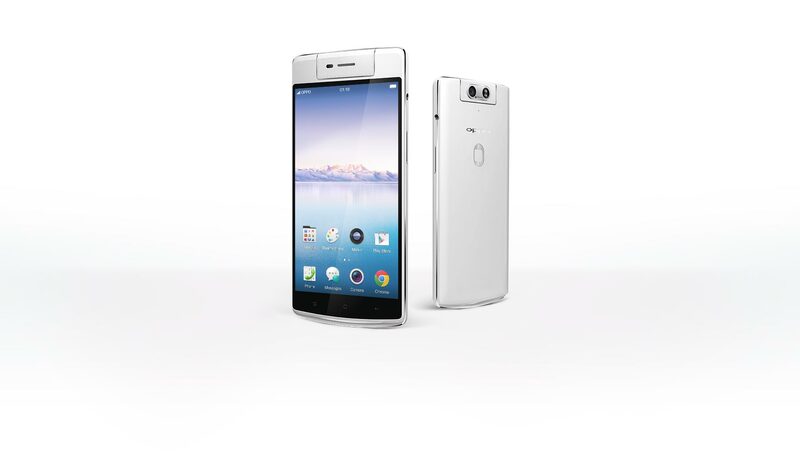 The handset sports a 16 MP rotating rear camera and a 16 MP front shooter. The N3 is powered by a Qualcomm Snapdragon 801 processor and 2GB RAM. It has 32GB internal storage capacity which can further be expanded up to 128GB via a microSD card. Connectivity options inlcude 4G, Wi-Fi 802.11 a/b/g/n/ac, NFC, Bluetooth 4.0, GPS and microUSB 2.0 port. It is backed by a Li-Po 3000 mAh battery. Oppo N3 Price starts at Rs. 42,139. The N3 is the second generation smartphone by Oppo. It runs Android 4.4 KitKat paired with ColorOS 2.0i UI on top. 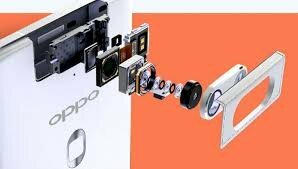 Housed in an lithium-aluminium casing, the smartphone also runs a new cooling system designed by Oppo for better durability. The device features a 5.5-inch Full HD touchscreen with a density of around 400 pixels per inch. The successor to the N1 comes with a 16-megapixel motorised camera coupled with dual-LED flash which has a 1/2.3 inch sensor that allows tracking of moving objects. The unique snapper is capable of rotating up to 206 degrees automatically to click self-portraits and panoramas. The camera that uses Schneider Kreuznach-certified lens can shoot 4k videos@ 30fps. The other features of the camera include slow shutter, ultra macro mode, after focus and panorama. The N3 is powered by a 2.3 GHz quad-core Qualcomm Snapdragon 801 processor to ensure smooth multitasking and a better gaming experience. In terms of memory, it has 2GB RAM and 32GB internal storage which can further be expanded up to a whopping 128GB via the microSD card slot. When it comes to playing multimedia formats, the high-end device supports almost all the audio and video codecs. The placement of headphone jack is quite interesting in this phone as it has been placed on the side instead of the top or bottom of the device. Additionally, the device comes with fingerprint scanner like some other flagship devices these days. This can be used to lock and unlock the device and safely transect money through your mobile device. The scanner can also be used to protect images. The Oppo N3 supports data through 4GLTE bands, NFC, Bluetooth 4.0, USB OTG, Wi-Fi 802.11 a/b/g/n/ac and microUSB 2.0 port. The Oppo N3 houses a 3,000mAh Li-Po battery and supports the VOOC rapid charging tech, which is capable of recharging from 0 to 75% in just 30 minutes. Does it have a single camera?